Color gamuts for RGB images and spot color libraries usually extend beyond the range of the CMYK color gamut. Computer monitors, as well as smartphones, tablets, and televisions, display color as RGB (red, green, blue). 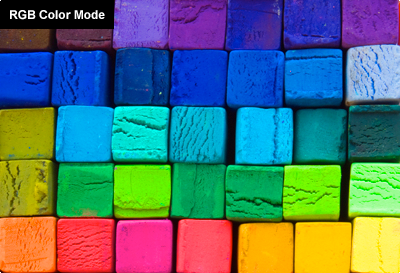 Although all colors of the visible spectrum can be produced by merging red, green and blue light, monitors are capable of displaying only a limited gamut (i.e., range) of the visible spectrum. Whereas monitors emit light, inked paper absorbs or reflects specific wavelengths. Cyan, magenta and yellow pigments serve as filters, subtracting varying degrees of red, green and blue from white light to produce a selective gamut of spectral colors. Like monitors, printing inks also produce a color gamut that is only a subset of the visible spectrum, although the range is not the same for both. Consequently, the same art displayed on a computer monitor may not match what is printed in a publication. Also, because printing processes such as offset lithography use CMYK (cyan, magenta, yellow, black) inks, digital art must be converted to CMYK color for print. It can sometimes be difficult to visualize the reason for color shift in color space conversion. The best way to see the color differences between the CMYK and RGB color spaces is to look at a color gamut comparison chart. Not all colors in the RGB color gamut will be present in the CMYK gamut. When you convert a photograph in Photoshop from RBG to CMYK, you may notice minor or even severe shifts in color, and your photograph may need color correction performed. While we can convert images from RGB to CMYK on the fly as part of our workflow, it is recommended that you perform the conversion process before sending us your files. This will help you avoid unpleasant surprises. Note color shift after conversion. Most desktop scanners, digital cameras, and video capture systems save files as RGB, and will need to be converted to CMYK before printing. Images found on the Internet are also RGB. Some companies provide logos and photographs on their web sites that are specifically designed for high resolution printing and are made available for designers to download. But a majority of the time, images downloaded from the Internet are low resolution and small and are not suitable for printing. Digital art that is comprised of spot colors (e.g., any colors that are not CMYK process colors), requires conversion to the CMYK color gamut. 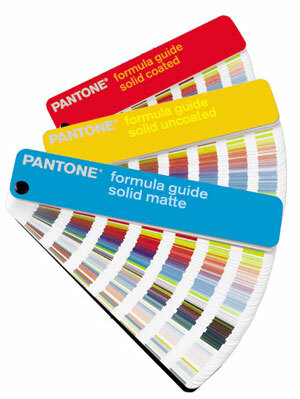 Because color gamuts for spot color libraries, such as those associated with the Pantone Matching System (PMS), usually extend beyond the ranges of the CMYK color gamut, some spot colors may not be represented effectively using CMYK process inks. Unless you are actually printing in spot colors, any spot colors in your files will need to be converted to CMYK and should be done before sending your files to us.